1. 2 headers that can be printed sales literature. 2. Sliders used in the side panels, easy to set up for retailers. 3. Reduce the cost of launching new products. 4. Support a high load capacity. 5. 3 tiers, 9 cell. 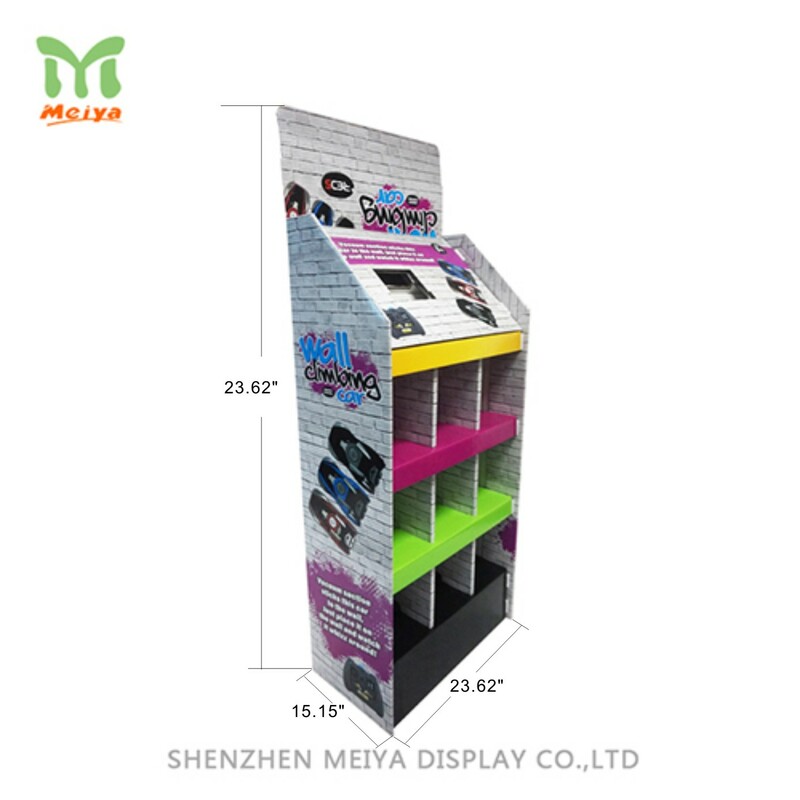 These floor standing promotion cardboard displays showcase new products in attractive method. Especially 2 headers that can be printed or labels the new items, covered with magazine or ornaments. To introduce new products in highlighting sections of the headers. The features of the cardboard displays are holding a high load capacity with 0.7" width on the partitions.